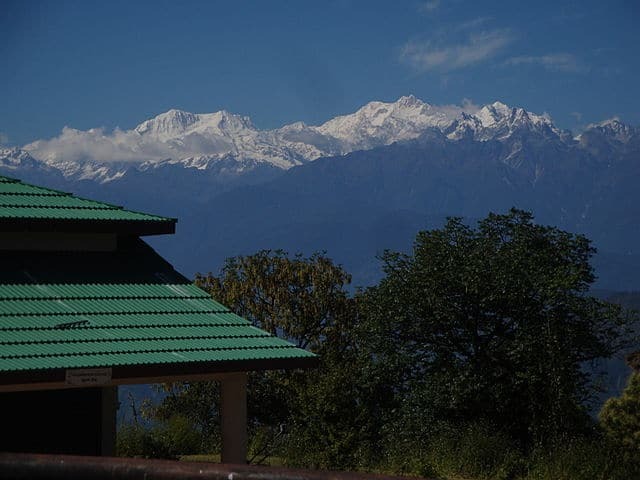 Located in the peaceful and beautiful state of North-Eastern India, Sikkim, the Namchi Hill Station has much to offer any visitor who wishes to indulge into nature and the indigenous culture of the Sikkimese people. Namchi is at an elevation of 4314 feet above sea level, and the name Namchi itself means Sky High in the Sikkimese language. Gangtok, the state capital, is a mere 92 kilometers from Namchi, which is most famous for the view one has of the magnificent Mt. Kanchenjunga. It is the capital of the South district of Sikkim and has grown to be a melting pot of various cultures and communities of the North-East, including influences of the Nepali culture. Namchi is also very well known for the great number of schools and churches that are present here from Colonial times and that hold a great regard for their beautiful architecture and surroundings. Namchi does not see much extremities in the weather. In the summer months of March to June, temperatures average 22 degrees. The monsoon season of July to September is famous for its dense fog which is beautiful but also treacherous. Winters last from November to February and are mild, with temperatures averaging 4 degrees Celsius. Spring and autumn in this city are the best time to experience it rich flora and fauna and enjoy the surroundings. Namchi is a year round destination. However, due to its altitude, the best time to visit Namchi is during the months of March to October. This covers the spring and autumn time, when the city is in full bloom and makes for a wonderful experience for nature lovers. Summers are also mild, pleasant and refreshing. Namchi is a well-known pilgrimage amongst the Buddhist culture. As such, the most renowned tourist destination in this area is the Namchi monastery, located on the hill along with the Ralong Monastery and the Tendong Hill. Another major spiritual site is the 118 feet tall statue of Guru Rinpoche, the patron saint of the Sikkimese people, on top of the Samdruptse Hill. This hill, which is actually a dormant volcano, is often referred to as the wish fulfilling hill. There is also the Siddhesvara Dham, a government built spiritual tourism center, which houses a 108 feet statue of Lord Shiva and an excellent replica of the mythical Char Dham on the Solophok Hill. For all nature lovers, the biggest treat in Namchi is the Rock Garden. One can find exotic flora and fauna here, as well the highlight of the city which is the breathtaking view of the snow clad Mt. Kanchenjunga. Other than these, there is also the Baichung Stadium, built in honour of football star Baichung Bhutia. Many important football tournaments take place here. The Temi Tea Garden is a tea estate where one can relax and unwind and enjoy the freshly plucked and brewed tea of Sikkim. The best way to travel to Namchi is by road. Various private bus and taxi services are available to take tourists and vacationers to Namchi every day. The city is well connected to all major neighboring cities in Sikkim and West Bengal such as Gangtok, Pelling and Siliguri. One can also travel here by railways and air. The nearest airport is the Bagdogra Airport in Siliguri at a distance of 95 kilometers from Namchi. The closest railway station is the New Jalpaiguri Railway Station at Siliguri, at a distance of 93 kilometers from Namchi. Both these means of transport connect Namchi to all major cities of India. Namchi is a city that welcomes tourists and offers them a comfortable, pocket-friendly and yet memorable visit. There are various venues of accommodation within Namchi, which include the well-known Hotel Mayal and Hotel Tareeba Namchi. One can choose between staying in a luxury resort or in a comfortable budget hotel, lodge or homestay.